Calling all Seinfeld and When Harry Met Sally fans! The When Harry Met Seinfeld Tour is a perfect activity for anyone who finds themselves at Seinfeld trivia night or reciting Meg Ryan’s famous lines such as “Can men and women ever just be friends?” and “I’ll have what she’s having”. The When Harry Met Seinfeld Tour will show a different side of filming in Manhattan, through the lens of some beloved characters. Hundreds of locations north of Times Square have been featured on the big and small screens, but are so often overshadowed by more popular neighborhoods. On the journey through the beautiful Upper West Side and Upper East Side, Seinfeld fans of all ages will experience a New York City they’ve seen on screen but may have missed on family vacations and school field trips. 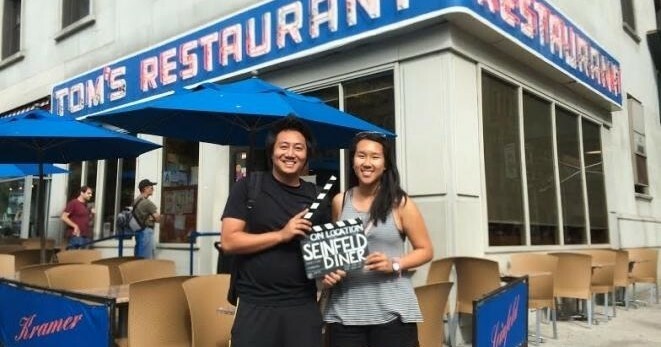 With over 40 locations and inside industry knowledge, the Seinfeld Tour is the perfect way to check out all that Uptown has to offer, all from the comfort of an indoor bus. Explore locations from How I Met Your Mother, Trainwreck, Black Swan, Cruel Intentions and more! Your adventure begins north of Times Square at McGee’s Pub, the inspiration for MacLaren’s on How I Met Your Mother. Weaving down the crowded avenues you’ll see the original “Soup Man,” from Seinfeld (still possibly the best soup in NYC), and north up 8th Avenue. Christopher Columbus stands center in Columbus Circle as the point all distances from New York are measured and is easily recognized in Ghostbuster’s, When in Rome, Crocodile Dundee, and many more films. Surrounding the circle is Trump Tower, the Time Warner Center, and the Maine Memorial spotted in Tower Heist, The Other Guys, and Enchanted. Cruising up Broadway away from the fanfare of Columbus Circle the next landmark you can’t miss will be the famed Lincoln Center. The fountain positioned center among Lincoln Plaza has been featured countless times since the Centers completion in the 1960s. Unmistakable in Moonstruck, Sweet Home Alabama, Glee, and most recently Pitch Perfect, the center has featured hundreds of performances and events, both real and scripted. Jerry Seinfeld and his gang called the Upper West Side home, showcasing many neighborhood hotspots over the years. From now-closed H&H Bagels to Gray’s Papaya, where you can still grab a NYC hot dog for cheap, these guys knew how to hang. 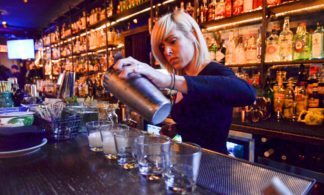 Their favorite spot to hangout – and our second stop – is “Monks,” a.k.a. Tom’s Restaurant featured in almost every episode of Seinfeld. Another true fan of the Upper West Side neighborhood was famous writer Nora Ephron, who found these quiet streets a perfect setting for her romantic comedies. We’ll visit UWS staples like Zabar’s, Café Luxembourg, and stop for coffee at Café Lalo. Featured in You’ve Got Mail and When Harry Met Sally, you’ll feel right at home among these locations. Turning east you’ll head along 110th Street, the northern edge of Central Park, into the Upper East Side. Featured in hundreds of productions for its beautiful mansions, world-renowned museums, and of course Madison Avenue shopping. Museum Mile is home to ten museums and featured in far too many movies and TV shows to mention at once. You’ll recognize the City of the Museum of New York as Constance Billard School in Gossip Girl. Down the road is the Guggenheim Museum where Isaac and Mary meet in Woody Allen’s Manhattan. Most famous of all is The Metropolitan Museum of Art and more importantly, “The Met Steps.” Our third and final stop, thousands of people a day sit on these steps, just like Blair on Gossip Girl and Albert (Kevin James) in Hitch. Inside is the Egyptian Room where Harry and Sally realize their love for one another in When Harry Met Sally. 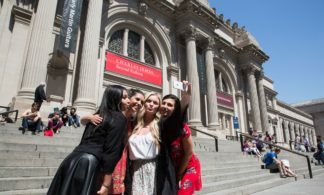 Among these cultural institutions are the mansions, townhomes and penthouses of Upper East Side residents. Many are indistinguishable from museums and would take an art theft to afford. The Valmont Mansion is the home of Sebastian and Katherine Valmont (Ryan Philippe and Sarah Michelle Gellar) in Cruel Intentions, and around the corner was the Sheffield’s mansion on The Nanny. To complete your UES experience the tour passes Barney’s NY, where Elaine from Seinfeld, and Jack from Will & Grace both worked as employees. (Actual employees are far more attentive). 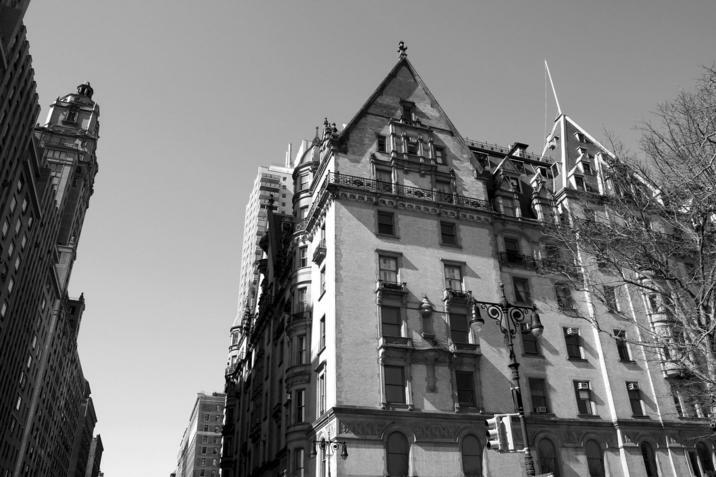 Crossing over 59th Street, you’ll be officially leaving Uptown Manhattan and in front of the most filmed building in the world, the Plaza Hotel. Featured in films like The Way We Were, Almost Famous, American Hustle, and Home Alone 2 the building is a never-ending classic. Out front is the Pulitzer fountain, inspiration for the fountain the cast of Friends dance in during the opening credits. Heading into midtown traffic, you’ll pass another Trump Tower, a fitting setting as Wayne Enterprises in The Dark Knight Rises and Jordan Beflort’s (Leonardo DiCaprio) penthouse in Wolf of Wall Street. Don’t miss out on your chance to see these and many other locations featured on the When Harry Met Seinfeld Tour: a look at TV & Movie locations above Times Square. * In an effort to stay current, we are constantly updating our tours with new locations and cannot guarantee the presence of locations mentioned on our site. Absolutely not. The tour takes place on a coach bus since the locations are spread out. But you will get off the bus at a number of locations along the way, giving you the opportunity to experience the locations and take pictures. Whenever you leave the bus, it is with the tour guide. The tour includes a mix of on-the-bus viewings of locations and stops to get off the bus to explore, all woven into the story of how they relate to the TV shows and movies that have portrayed them. What exact locations do we visit? 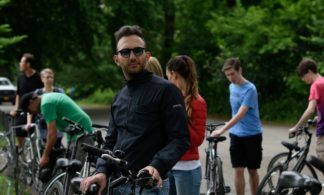 The exact itinerary and route of the tour varies somewhat from tour to tour, so they can’t say ahead of time exactly which locations will be visited on a specific tour. While it is extremely rare, On Location Tours does sometimes need to skip or modify certain locations that usually are part of the tour. Since the tour is visiting real-life locations all around Manhattan, the tour’s itinerary can sometimes be impacted by traffic conditions, store hours, etc. On Location Tours assumes no liability or responsibility for: traffic conditions, access to sites, or other conditions beyond its control. Is this a good sightseeing tour? Yes. The tour travels through much of Uptown Manhattan while highlighting the specific TV and movie locations that are the tour’s focus. As a result, families and friends often find this tour an ideal way to tour the city. 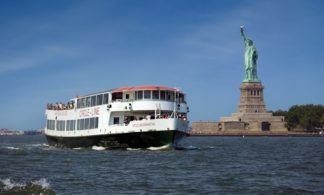 While the tour does not visit such Manhattan landmarks as the Statue of Liberty or Empire State Building, you will be visiting areas such as Upper West Side, Central Park and Upper East Side.